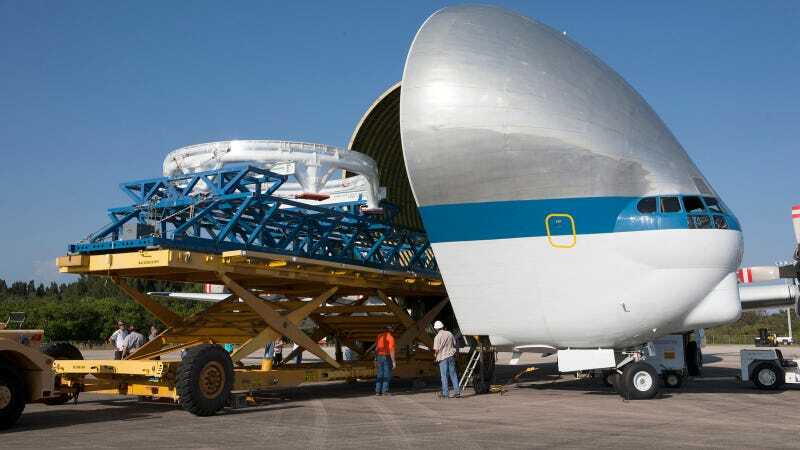 NASA’s Super Guppy aircraft is one of the most extravagant cargo planes in the world. The awkwardly shaped aircraft has been in service since 1965, and was specifically designed to carry oversized payloads, like rocket stages and spacecrafts. This Tuesday she was fed with the Orion service module stacking assembly interface ring and stack holding stand.